Melissa & Doug Food Groups Play Set 21-pc. Designed to develop lacing sewing skills, and help kids to learn colors, numbers and shape matching. 1 Set of Wooden Lacing Beads Toy. - This Montessori Toy develop children's focused, precise and independent working attitude. 1 X Color Wooden Tangram. Material : Wooden. Portable and Light in weight. Weight: 40g. Color : Multi Colors. 1x Animal Wooden Puzzle. We have more than 500 styles up to now. Your satisfication is our highest goal! Everything is solvable with good communication. We will reply within 24 hours. We would give you a satisfying solution. 1x Animal Wooden Puzzle. We have more than 500 styles up to now. Your satisfication is our highest goal! So, if the product you bought doesn't contain these points, it must be a fake product. We'd appreciate it very much. Perfect for your little one's pretend kitchen! Most new parents often find it is difficult to teach their little kids the basic stacking ability. They don't know which way is the most correct way to make them understand. Parents can teach kids to know various ways to stack the blocks. Your kids would be have lots of fun in their childhood with this lacing beads set. 1 Set Lacing Beads Tree Toy. - Smooth-sanded pieces and wooden beads are harmless to your baby. - Material: Wooden. Each of the 8 boards has 10 pictures; there are 10 cards with colourful pictures matching these pictures of each category on the board. - It encourages children to learn, recognise pictures and objects, numbers, shapes and colour etc. improve their knowledge, hand and eye coordination. 1 Set Wooden Sticks Inserting Toy. 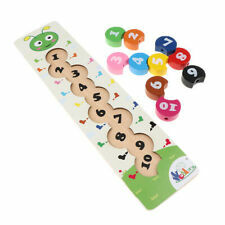 - Each color with 7 sticks: help kids mathematical number counting learning. - Material: Wooden. 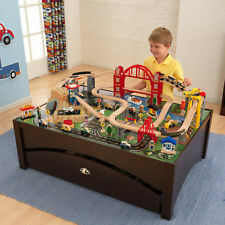 - Trains kids color & shape sensory learning, hands & eyes coordination. Main Material: Wooden. - Trains kids hands & eyes coordination, develop kids music sensory, hearing sensory. - Perfect for children early learning educational toy. Size Chart. 1 Piece Wooden Bead Maze Toy. - Material: Wooden bead. - Well constructed, smooth-sanded pieces and wooden beads are harmless to your baby. - Just take out and enjoy play it, without installation. - Designed in suitable size for baby - not too big and bulky. 1x Wooden Puzzle. We want to make sure you are happy with our item. Goods without RMA number will NOT be accepted. Material: Wood. Fit For: Kids over 3 Years Old. We'd like to settle any problem in a friendly manner. 1 Set Beads Lacing Toy. - Includes 16 pieces wooden beads and 1 string. - Material: Wooden. - Develop kids' hand eye coordination and expand the children's sensitivity to colors and shapes. Baby Toddler Montessori Toys - 24 Pieces Wooden Mirror Stick Up Blocks. 1 Set Wooden Mirror Buidling Blocks Toy. - 24-piece wooden double-faced mirroe blocks in 6 different shapes (rectangular, square, round, right triangle, equilateral triangle and semicircle). 1 Set Wooden Fruit Stacking Toy. - Material: Wooden. 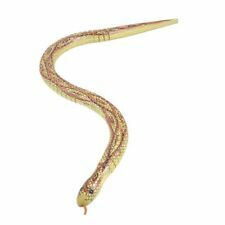 - This Montessori Toy develop children's focused, precise and independent working attitude. Due to the different monitor and light effect, the actual color of the item might be slightly different from the color showed on the pictures. Teddy Lingerie. Kids & Baby Care. Baby Clothing. Wedding & Party Accessories. 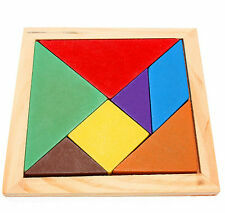 - The wooden shape puzzles for young kids to learn the concept of fraction, color and shape recognition. - Material: wood. Children can learn about different types of vegetable and their individual appearance. - Vegetable can be cut in half because they are connected with magnetic. 1 Set Wooden Cutting Playset Toy. - Made of high quality wooden material, stable and durable. 1 Piece Wooden Bead Maze Toy. - Well constructed, smooth-sanded pieces and wooden beads are harmless to your baby. - Material: Wooden. - Designed in suitable size for baby - not too big and bulky. Due to the different monitor and light effect, the actual color of the item might be slightly different from the color showed on the pictures. The worm/caterpillar is attached to string and allows threading the fruit through all of the holes. 1 Wooden Lacing Toy Set. - Material: Wooden. - Bright colors and wonderful design to catch children’s eye. 1 3D Jigsaw Puzzles Toy. - Great DIY assembly animal building blocks toy: easy to assemble. - Material: Wooden. - Trains kids hands & eyes coordination, develop color & shape cognition, and fine motor skills. This is an ideal learning tetris puzzle for your kids. 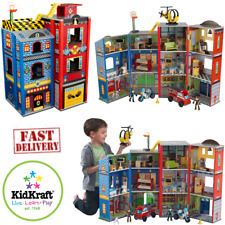 - This product aims at training kids imagination, eye-hand coordination and color & shape recognition. People always bought together with. - Size: approx. Brightly colored shape sorter. 1x Shape Sorter Block. - Appealing new take on a classic early-learning toy. Due to the differences between different monitors, the picture may not reflect the actual color of the item. Safe Wooden Kids Knife - Cuts fruits and veggies, not fingers! J'adore Paris Nature Wood Toys Garbage Truck. Ages 1+. NWT. Sensory Wood Toy.